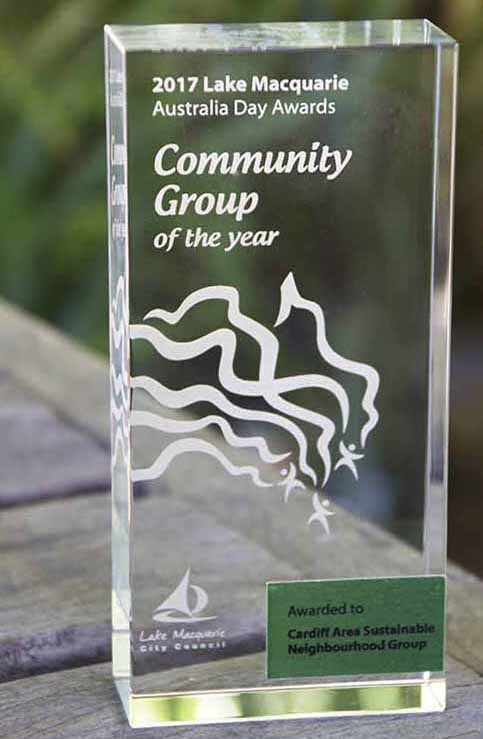 A little over twelve months of working to connect the community, protect the natural environment, and enhance the social environment of our local area has seen the Cardiff Area Sustainable Neighbourhood Group (CASNG) recognised for our efforts and receive two prestigious awards. In December 2016, we received the Shortland Volunteer Group of the Year Award. Further recognition for our community work has now seen us honoured as ​Community Group of the Year at the ​2017 Lake Macquarie Australia Day Awards. 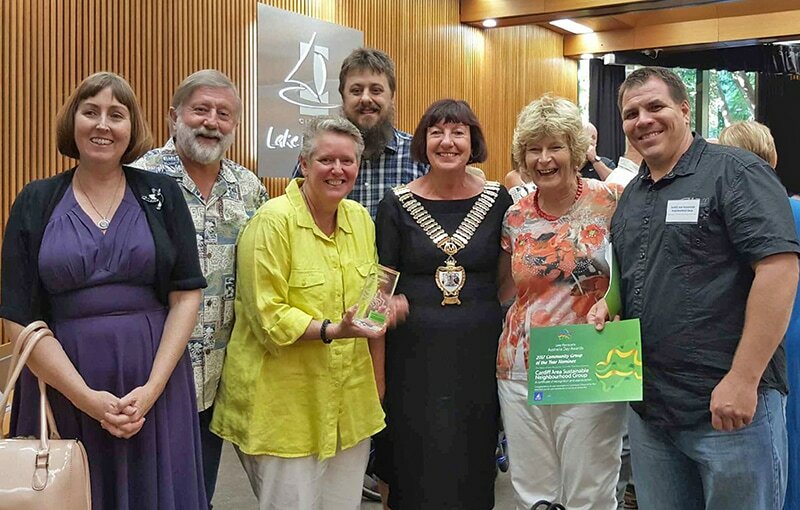 Members of the Group were on hand at the Lake Macquarie City Council Chambers to hear Mayor, Cr Kay Fraser announce CASNG the winner, and then present the Award to Chairperson, Gavin Ord, and Secretary, Barry Shepherd. Towards the end of 2016, our members were discussing how best to gauge the effectiveness of our first year in operation, and whether the events we’d organised had improved the physical and social environment of the Cardiff Area – which includes Cardiff, Cardiff South, Cardiff Heights, Garden Suburb and Hillsborough. Winning two awards, is a tremendous validation of our volunteers’ work to date and shows that the local community have taken notice, and appreciate the Group’s efforts. Bob Biggs, Jenny McGrath & Gavin Ord.